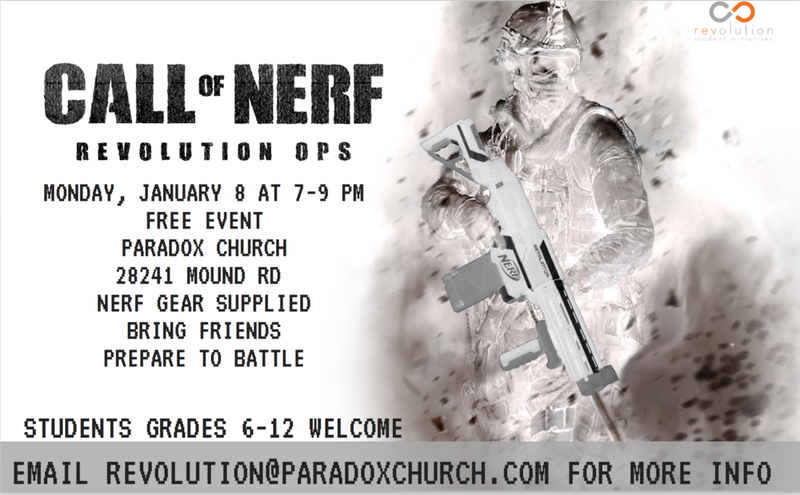 Join students in Grades 6-12 on Monday, January 8 from 7-9PM for Call of Nerf. This is a free event where we transform the building into a huge (and FUN) Nerf battle. All gear is supplied. Invite your friends!